These are all wonderful, and creatively diverse. Hi Candace! Thanks for stopping by on my blog. You’re right they are all wonderful! What a great set of cards, Kat. What fun, this swap! I agree, Siobhan! 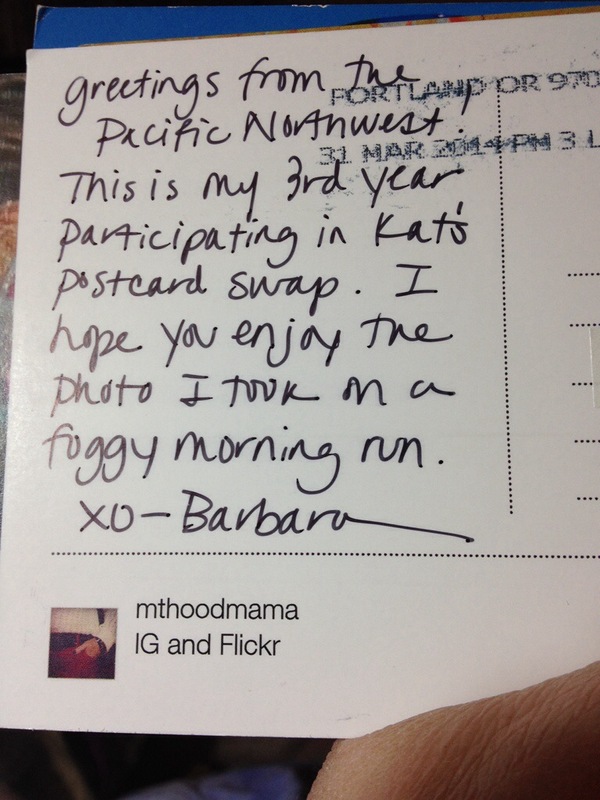 So much fun – I’ve been in the swap for three years and will continue as long as the swap does! What a great idea to see the messages as well! 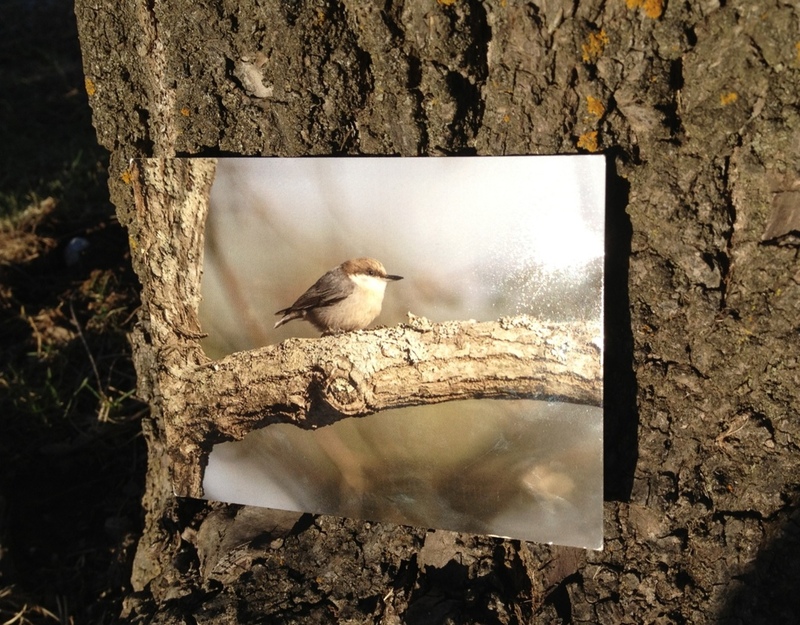 I think next year, I’ll show the cards separately – this first swap has been a steep learning curve! PS I ADORE your blog header – just stunning! 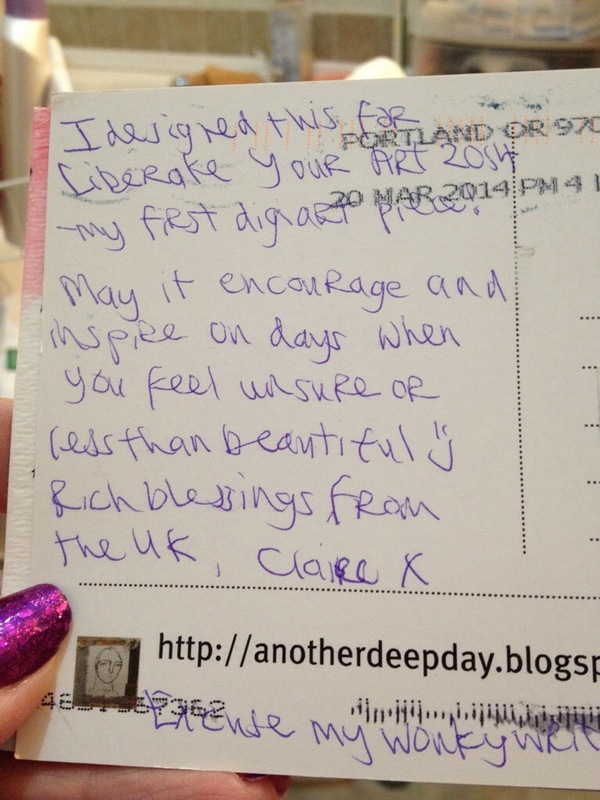 Claire, I felt the same as you the first time ’round though my card was NOT as impressive as yours! Thank YOU for leaving a comment here- I’ve only ever had a couple of people comment before now, so it is thrilling to have people visit! I love your site and want to follow faithfully. We are far more alike than you’d ever imagine, and I love reading your posts! And PS the blog header isn’t my own but one I chose. I love it, too- wish I could take credit! 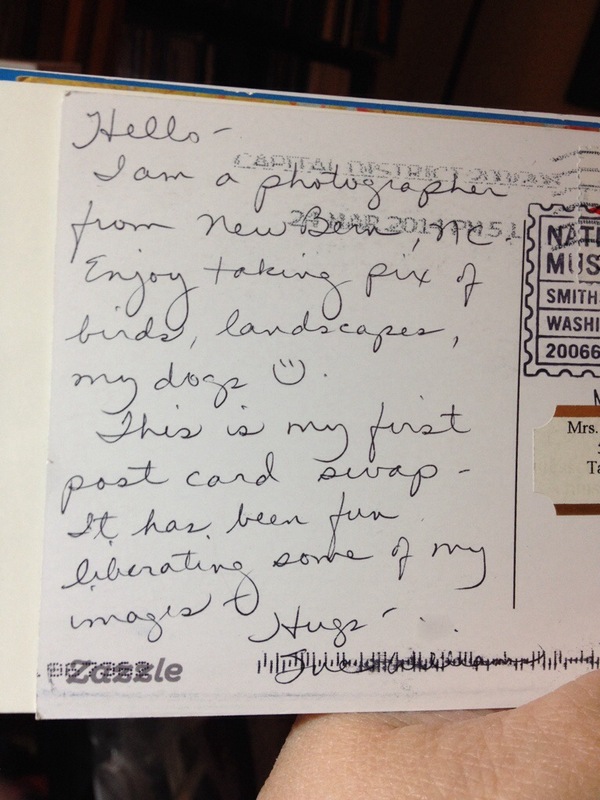 I have been to most of the blogs on the hop and you have a few postcards I have not seen yet. I love your postcards of the purple flowers. The light and airy feel, you captured their dedicate state of beauty. Jill, I’m so glad to read your comment! I really appreciate the compliment on my photos- you said exactly what I was going for! 🙂 thank you for visiting my blog- I will be by yours soon if it is in the hop! 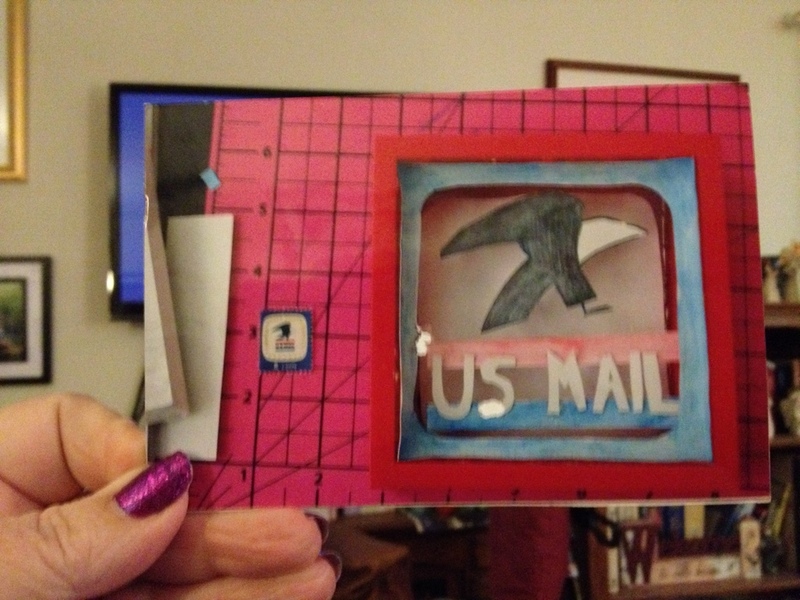 Btw I did go to your blog but it wouldn’t let me add a comment no matter what I did 😦 I do hope you will see this – your post was terrific and you got cards that were beautiful AND that I’d not yet seen! Yours was cute, too! I’m interested in the ROY G BIV swap but I have trouble comprehending instructions by reading. I’ll try to figure it out. Sounds fun! What a diverse group of cards you received. I’m really enjoying the Blog Hop. Gives me a chance to see “all” of the cards. Looking forward to 2015! Snap, thanks so much for visiting! 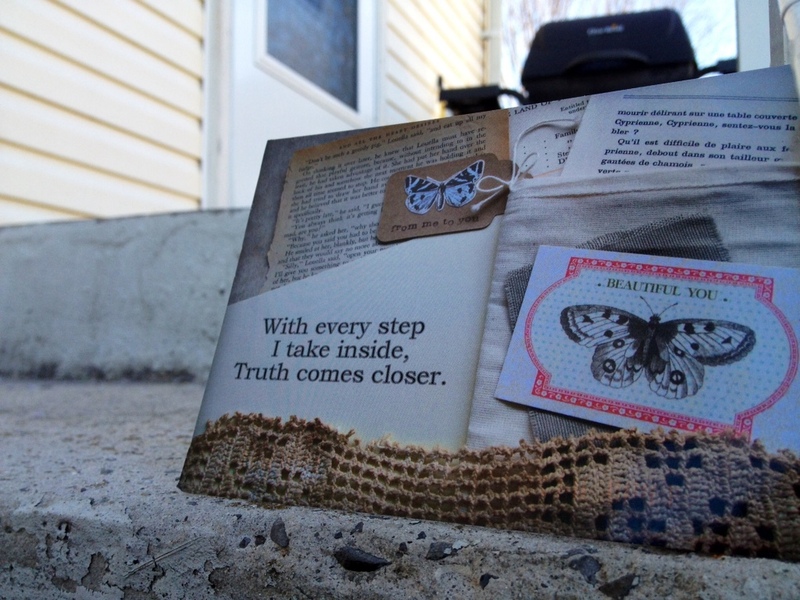 I adore this swap and love meeting like-minded people/new friends! Vicki, Thank you so much!✨💖✨ so glad you dropped by! I don’t get many visitors so this is thrilling. 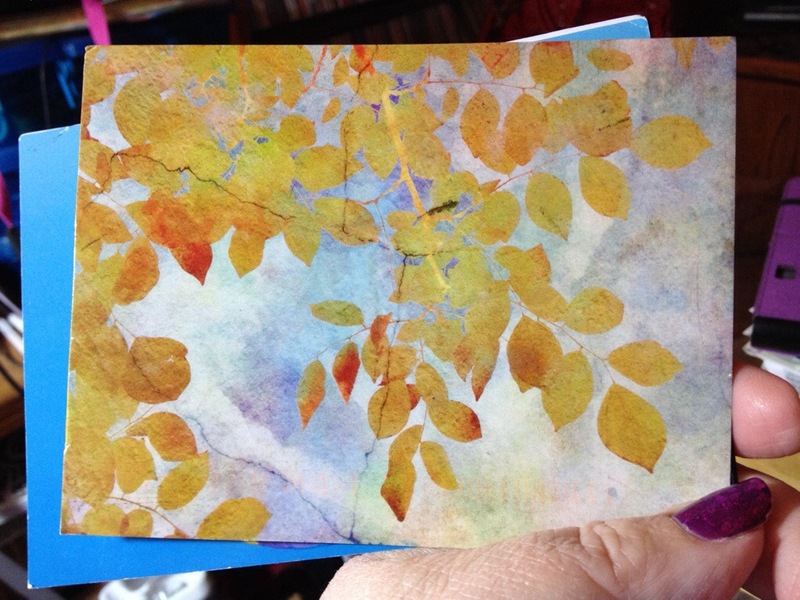 I hope you find your cards -I have only seen one of mine so far, on the FB page. Nice to meet you! What a very fun and diverse collection!!!! I am loving seeing what everyone else collected. Cabrashear, Thank you so much for visiting and commenting!✨💖✨ I love the swap and the blog hop is so much fun! I really enjoyed seeing the back of the postcards. The handwritten notes really add that element we miss out on with emails. I look forward to this as well. Your art work is wonderful! Juana, I appreciate your comment – Thank you so much!✨💖✨ I was a little afraid of posting the backs but to me, they are as interesting as the fronts! So glad you enjoyed seeing them too! Thanks for visiting AND commenting! Kris, I think they are, too! And if you meant the post, Thank you so much!✨💖✨ I so appreciate you visiting! Arty-Kat, I only know about the Instagram group from reading about it in the FB group and I think I also saw something about it in one of Kat’s early emails. I’m not on IG so I don’t know the name of it but probably the same as the FB group name? I recognized the purple flowers! 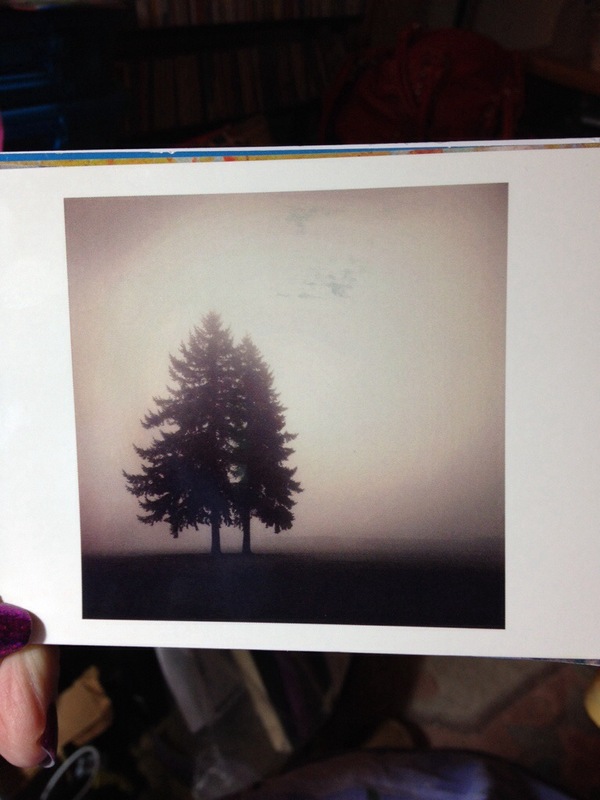 I received one of your postcards. It landed in Oshkosh, WI. Thank you for participating and spreading a little garden cheer! — Michele at Sweet Leaf Notebook. Thank you! 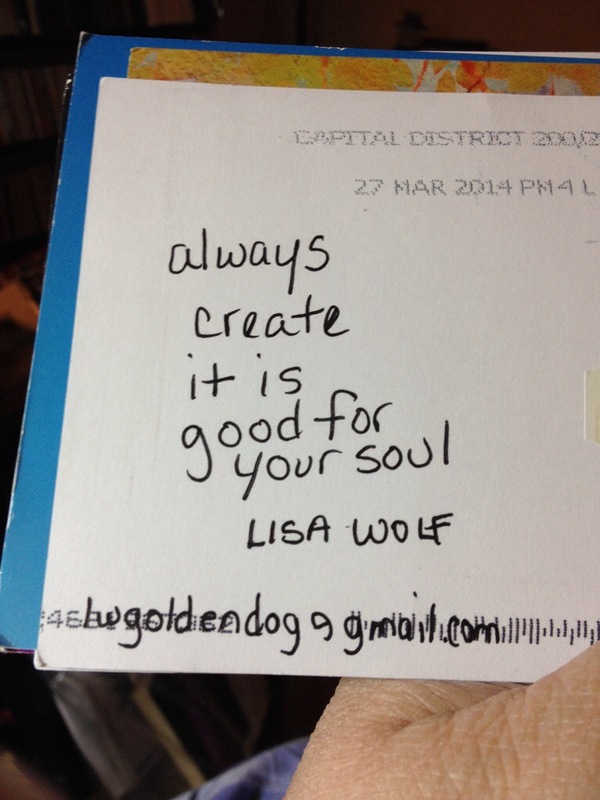 I’m so glad you got one of my cosmos postcards, Michele, and let me know. I appreciate it so much! Thanks, Cheri – I have to agree! I love releasing my art this way! Just wish more than one person had revealed they got one! But I’m not completely thru the blog hop yet! Thank you so much!✨💖✨ You have made my day, Teresa!! I enjoyed reading your post and love your flowers and all the art you received! 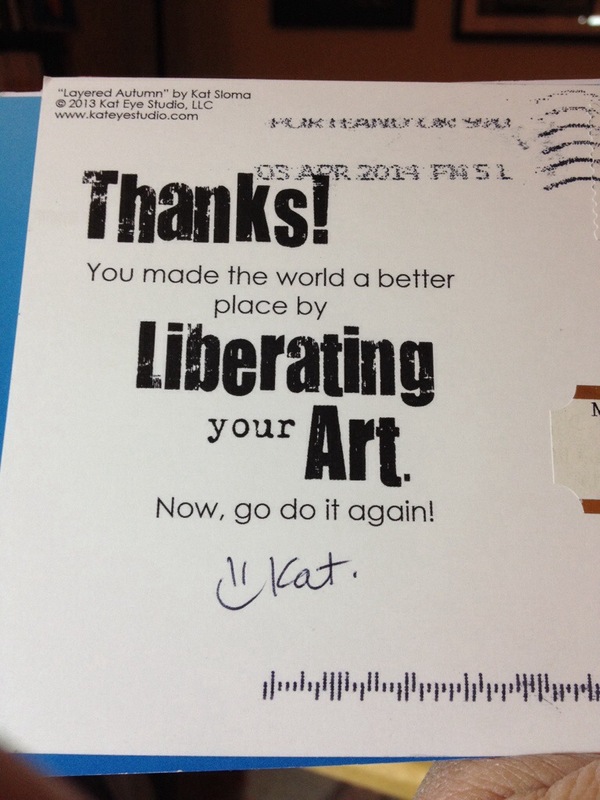 I love, love, love the cards you created Kat. And you have such a nice batch too! i hope mine arrives soon, and Please tell me Kat if it gets damaged by the post, and I will send you a new one. I have seen three of mine that got all marked up. So glad we met through the swap and have kept in touch. Our late night chats are priceless to me! See you in the swap next year… and in between too! My dear, dear friend Sheila- you have done more to encourage me and motivate me than you can possibly know! Ps I’m So so so glad you like my cards! Have you got one yet? not yet… i thought i still had a few coming. Lui said hers would take quite a while to get here. She is in the Philippines. Did you get one from me? 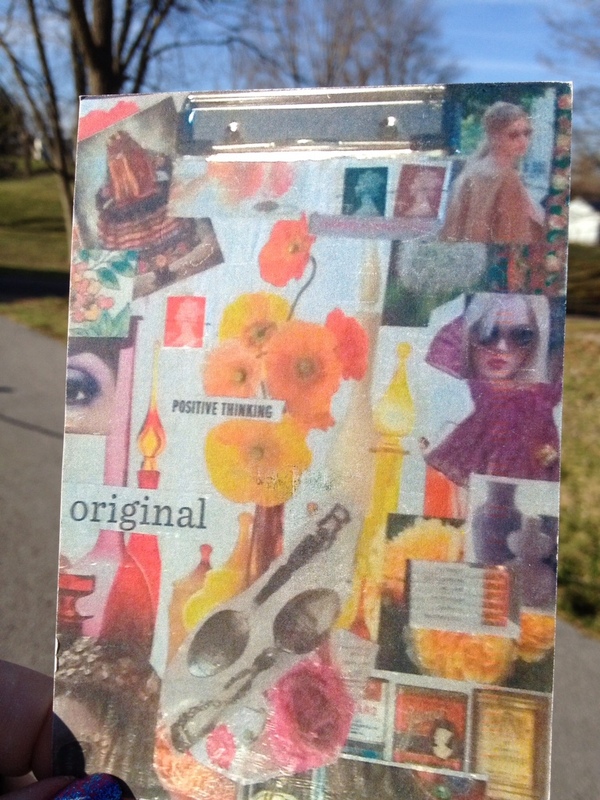 I love finding postcards I haven’t seen until the blog hop and you have a few that are new to me. 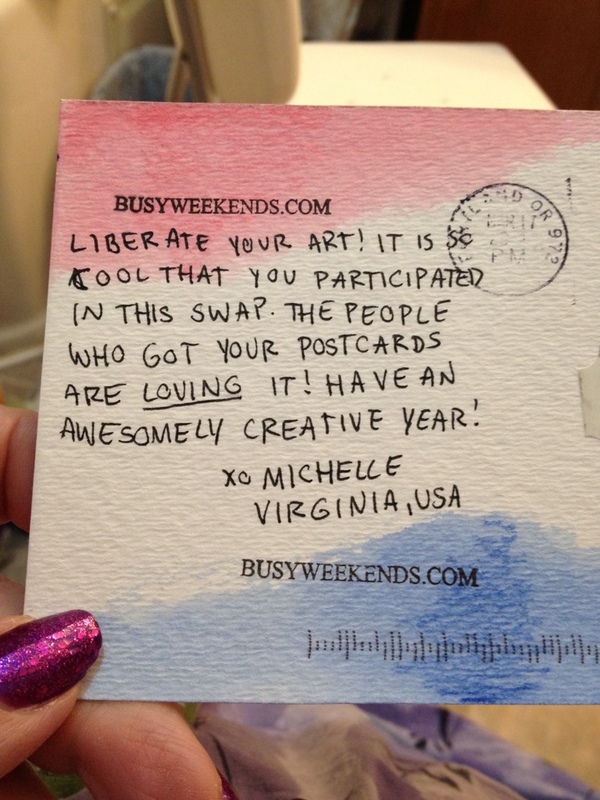 I love the postcards you created…they are so fresh and crisp. This has been a lot of fun and I’m looking forward to next time! See you then! Ahh, finally found someone who got my other card 🙂 Glad that you liked it, I had a lot of fun with this! I love the cards you created, too! See you next year!